Since 1980, the Dallas Institute has conducted public programs aimed at discovering what the humanities have to offer to the cultural life of the city. Take a look at the rich history that brings us to where we are today. The Dallas Institute of Humanities and Culture is founded in November 1980 by Drs. Donald Cowan, Louise Cowan, Gail Thomas, James Hillman, Robert Sardello, and Joanne Stroud, former colleagues at the University of Dallas. The Center for the City is established under the direction of Dr. Thomas to bring citizens and experts together for enlightened discourse on the future of the city. Dallas Institute Publications, under the stewardship of Dr. Joanne Stroud, commences. Drs. Donald and Louise Cowan create the Teachers Academy to support public and private school teachers primarily in the Dallas-Fort Worth area. The first of three consecutive Summer Institutes for Principals is conducted. By 1991, approximately 95% of Dallas ISD principals will have been full-time participants. The Institute completes the construction of Pegasus Plaza in Downtown Dallas featuring the work of sculptor Brad Goldberg. 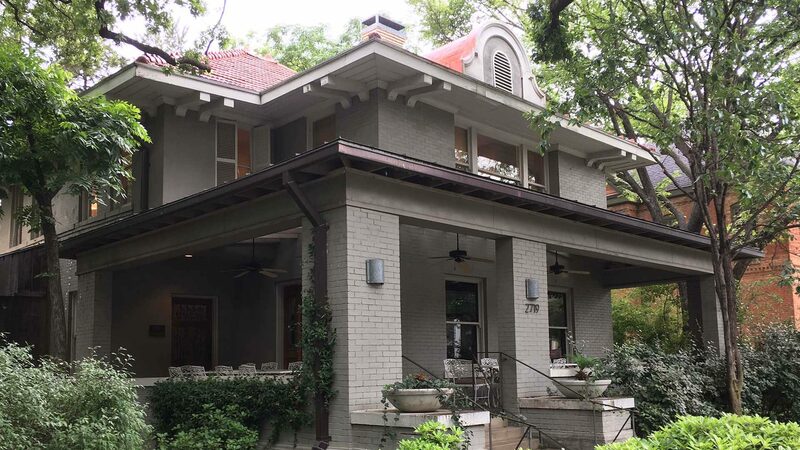 Major renovation is completed on the original historic structure at 2719 Routh Street. Dr. Larry Allums is named second Executive Director of the Institute. Nancy Cain and Jeffrey Marcus purchase the building adjacent to the Institute and donate it for use as the Institute’s Conference Center. Dr. Glenn Arbery is appointed second Director of the Teachers Academy. Dr. Gail Thomas presents “What Does the River Want to Be?” a conference that will prove to focus sustained attention on the potential of the Trinity River. Kim Jordan donates $1 million to create and endow the Hiett Prize in the Humanities, a $50,000 annual award presented to a young person in the humanities. Dr. Claudia MacMillan, an alumna of the Summer Institutes for Teachers, is named Associate Director and Director of the Teachers Academy. The Annual Martin Luther King, Jr., Symposium is established. The inaugural Dallas Institute Festival of Ideas is conducted in the Dallas Arts District. The Dallas Institute’s Louise and Donald Cowan Center for Education™ is established. The Dallas Institute celebrates its 30th year of conducting programs for North Texas. The Annual James Hillman Symposium is established by Dr. Joanne Stroud. The house and former bookstore at 2723 Routh are purchased and named the Stroud House and Cour Regard. The Institute enters into a partnership with The Dallas Morning News to conduct an expanded and renamed Annual Dallas Festival of Ideas. A Capital Campaign is begun by the Institute Board of Directors for the purpose of accomplishing a major renovation of the Institute’s three properties. Dr. Nancy Cain Marcus initiates a news annual program “What Makes a Citizen” and revival from 2001-2 of a two-year Summer Institute for Teachers in Political Philosophy.